miles for beer...: judgment day. judgment day is upon us. and is it judgement or judgment? are they both correct? dafuq. tonight at 7 pm myself and 11 other girls + 2 drivers + 1 dog will be on the road to chattanooga. 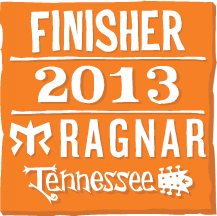 it's ragnar relay time folks. now here is how i prepped. don't sleep for a week and then panic. ha. not really. but sort of really. i will say it requires about a gajillion ziploc bags. that my friends is some serious precision. for real though ziploc bags are your friends. pack each leg in a separate bag labeled accordingly. have another ziploc bag for extra clothes that you may want to run in because the temps will vary from 25-58. (ha.ha.ha.ha that's us...). another ziploc bag for extra underwear/clothes to wear once your clean and out of the van at the end/clothes for the ride home. and lastly stress bake snacks. follow along instagram and the twittbox.